The Community Manager oversees the on-site operations of the associations. 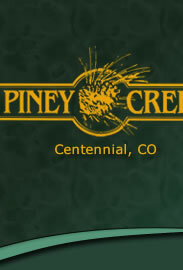 The Board of Directors for the Piney Creek Maintenance and Recreational Associations has agreed to provide a small quantity of the approved Piney Creek fence stain to homeowners who need to stain over graffiti or replace/repair a small number of fence pickets on privately owned fences. The stain is available in one-quart containers and the limit is one quart per homeowner. Pickets are limited to four (4) per homeowner. These supplies are free. You may arrange to pick up these supplies by contacting the community manager.